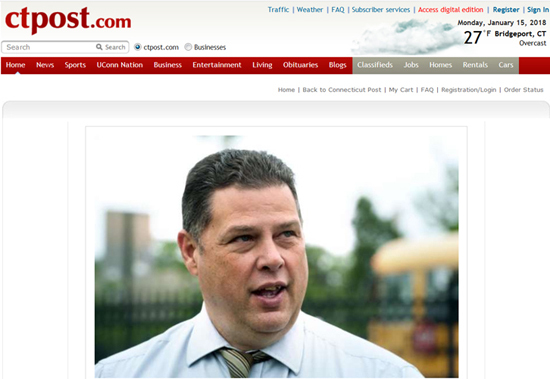 Chuck Paris is president of the Bridgeport, CT, Police Union. The Connecticut Post reports Bridgeport, CT, police officers rejected a new four-year pact, 152 votes to 133 votes, despite efforts by leadership this week to sell the deal as better than one imposed through state arbitration. “I knew it was going to be close,” Sgt. Chuck Paris, the union president, said. Paris attributed the contract’s failure to newer recruits’ frustration with the health plan. “They’re paying 31 percent—over $200 a week,” Paris said. “They’re lowest paid in the department and forced to pay the highest cost for healthcare.” And, Paris noted, newer officers also do not enjoy post-retirement healthcare. The police union had been pushing the Ganim administration to switch over to a state health care initiative that allegedly offered a better plan at a lower cost. The proposed contract included salary increases in years two, three and four and placed time limits on the length officers could be placed on leave pending investigations, and on the investigations themselves. The labor deal also made some modest attempts to curtail overtime—mainly reducing eight to four the mandatory hours an off-duty officer called on a day off has to be paid—but avoided more stringent overtime proposals and generally left existing benefits untouched. Now, Paris said, the contract dispute heads back to arbitration before a state panel. But a PowerPoint presentation circulated to cops this week by their parent union—the American Federation of State, County and Municipal Employees—warned that, if the proposal was rejected, the arbitration panel could impose a contract without a union vote.